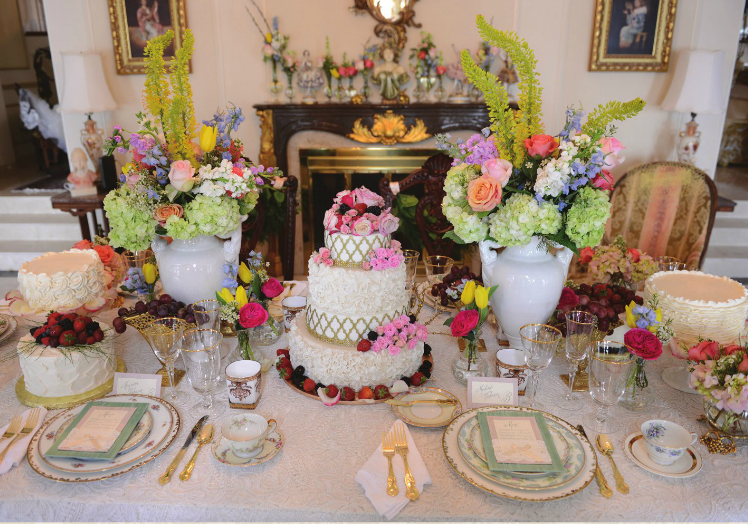 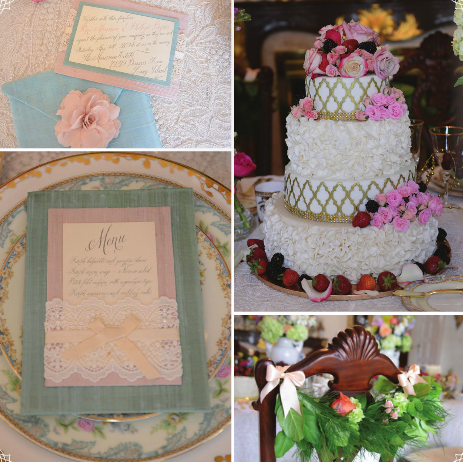 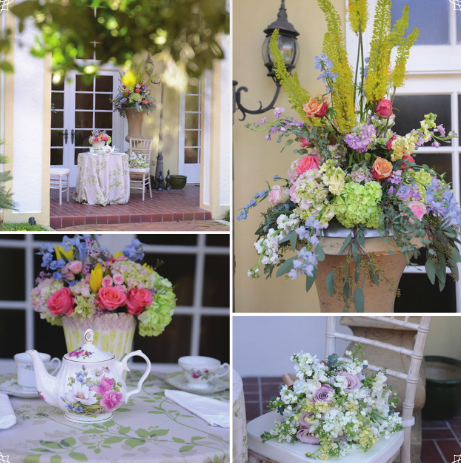 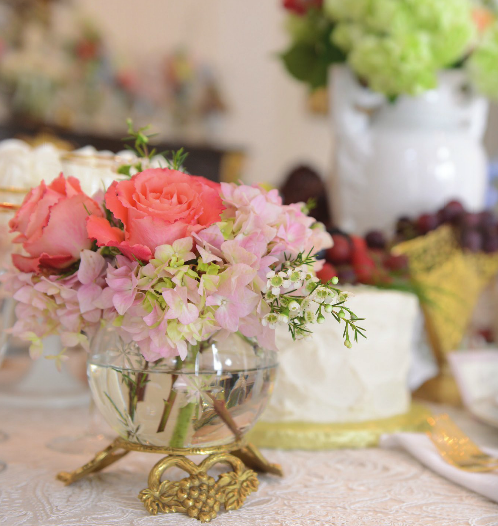 Soft pastel hues, paired with hints of vibrant colors and touches of lace, were used to set the scene for this bridal take on the theme. 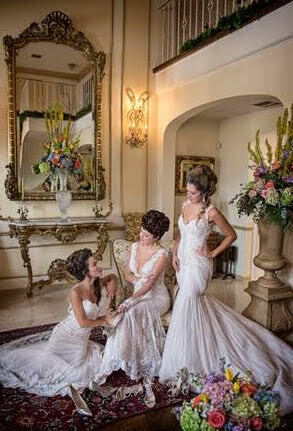 Lush, fluffy textures in the floral, as well as exquisite details (like the hand-tied bouquet with a satin-wrapped handle), compliment the gorgeous gowns and elegantly styled hair and makeup. 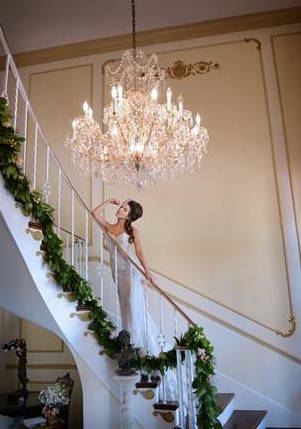 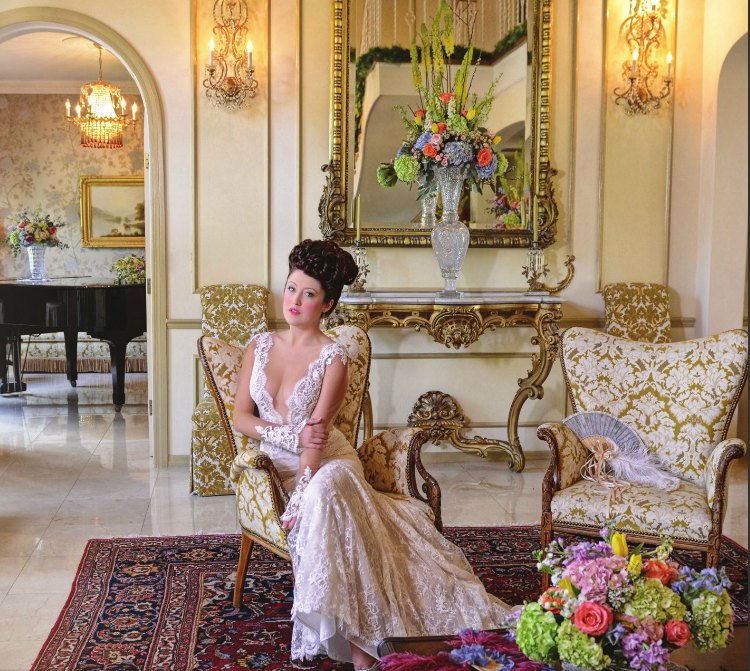 A cascading floral and greenery garland adorns the lavish staircase and adds to the grandeur beneath a stunning crystal chandelier. 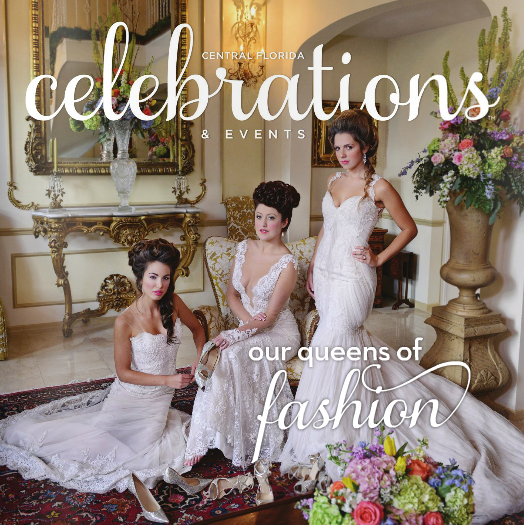 Celebrations and Events Magazine, on stands now.